Hand of a Maasai pastoralist holding soil from his group ranch Olkirimatian, Kajiado, Kenya – a symbol of land security (photo credit: ILRI/Fiona Flintan). The global component of the International Land Coalition (ILC) Rangelands Initiative in partnership with the Land Portal Foundation is organizing an online dialogue from 29 January – 9 February 2018. International agencies, government institutions, civil society organizations, community members, non-governmental organizations, donors, academics and the private sector will take part in the dialogue. strengthen the Rangelands Initiative as a multi-stakeholder platform, and provide clear strategic direction for further engaging on rangelands and drylands globally and nationally. Land-related challenges that rangelands, drylands and their users face, with insights on the global, regional and/or local trends. The analysis should include a reflection on their causes and impacts, and to what extent marginalized but concerned groups can influence decisions over such changes. Good practice examples on making rangelands more secure for local rangelands and drylands users and that can help in achieving change (policy and legislation and practice). This analysis should also include a reflection on causes for success, including the involvement of marginalized groups or the use of technology, or conflict resolution strategies. Pathways for strengthening multi-stakeholder platforms such as the Rangelands Initiative, including tools for better connection, key opportunities for collective action to secure rangelands and drylands, or analysing new opportunities such as the campaign for an International Year of Rangelands and Pastoralists. points and conclusions from the discussions will be shared. 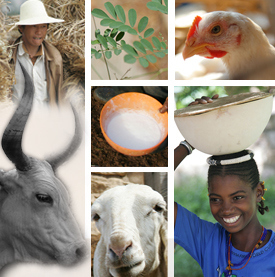 The global component of the ILC Rangelands Initiative is coordinated by the International Livestock Research Institute (ILRI). Follow the online dialogue here. Tags: ILC, Rangeland. Bookmark the permalink.